I’ve been eating a lot of whole grains lately, so when I saw that Cayuga Organics was selling freekeh I decided to ask about it. 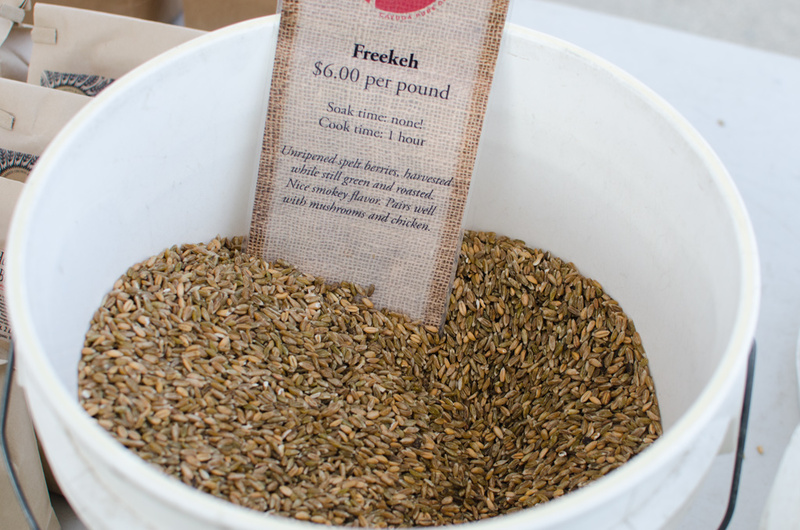 It’s similar to wheat berries, but the freekeh is harvested when the berries are green and unripe, then roasted. Because it is unripe, the man who sold it to me said that might require a little more soaking and a little more cooking than wheat berries. I’m looking for a few good recipes — do you have any?